Are You Planning A Kilimanjaro Trip To Moshi In Tanzania? Scroll Down..
A growing rural town located on the lower slopes of Mount Kilimanjaro, Moshi sits at an altitude of 700 (south) to 950 (north) meters above sea level. 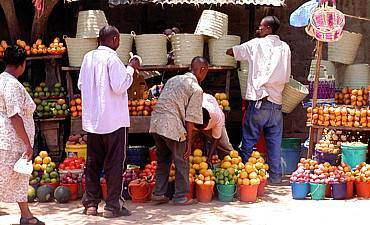 With a borough population of less than 250,000 people, Moshi is the smallest municipality in Tanzania covering an area less than 23 square miles (59 square kilometers). Originally home to the ethnic people, Chagga, the German Army setup a base camp here in 1893. Later, German colonialist occupiers also setup coffee plantations, developed farm houses and other dwellings. After World War 2, the British came to Tanzania as part of the League of Nations mandate and took over the properties and later returned their ownership to the local people at the time of independence. Thus, Moshi has a strong colonial background that is apparent in the architecture of the old buildings that still stand today. 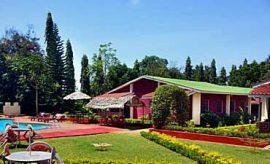 Some of these have been restored to their original charm and converted into tourist lodges and hotels. Moshi sees a lot of guests owing to its proximity to Kilimanjaro, and many trekkers on climbing expeditions to the mountain use the town as their basecamp either en-route to or coming from the many parks and wildlife sanctuaries that Tanzania is known for. Considered to be the cleanest township in all of Tanzania, Moshi has a serene, tranquil ambience with Mount Kilimanjaro dominating its skyline. Moshi takes its name from the Kiswahili word for “smoke”, possibly because Mount Kilimanjaro which is a dormant volcano today, has been spewing gas in the past and present too, and because of the fact that it is often covered with clouds and mist too. Owing to its volcanic soil and fed by the natural springs that run from the mountain glaciers, Moshi has lush vegetation and is the natural environ of numerous varieties of birds and butterflies (read more on touring Moshi with AfricanMecca). 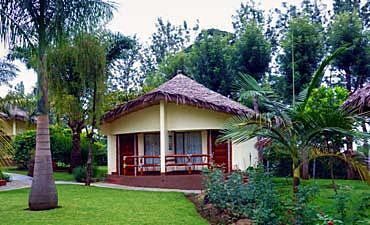 Most of the accommodations in Moshi are value Hotel Tier 3 options. This is as a result of the town primarily setup as a budget basecamp settlement to rival Arusha for accessibility to Kilimanjaro climbs. You could take long walks in the coffee and banana plantations, spend time bird watching or experience the Mamba Marangu Cultural Tour for a glimpse into the traditional way of living of the Chagga people. 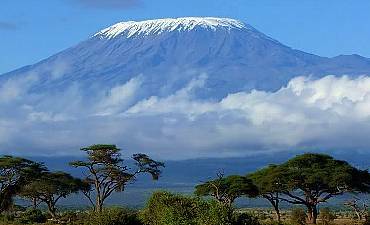 You could consider choosing the warm and dry months for your visit to Moshi, especially if you are climbing Kilimanjaro. Best months to go to Moshi are January and February, and also from June to October. 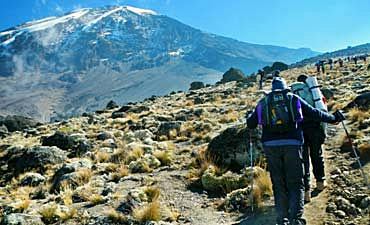 Your Kilimanjaro dream climb is entirely your own to design. 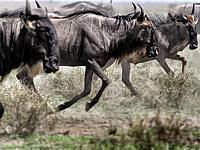 Uhuru Trails by AfricanMecca will work with you to customize exactly the triumphant Tanzanian mountainous quest experience you want. I just fell in love with Steven, our guide in Tanzania. Not only did he take care of us, but he truly cared about us. Thank you so much for planning and executing a dream for me. Loretta and I had a great time on our honeymoon. Simiton, your safari guide in Tanzania was awesome! He was very professional, very accommodating and very knowledgeable. We are already talking about our next trip to Africa! Dear Raza, Not a day has passed that we have not been overwhelmed by what we experienced, and by how fantastic our vacation was. It was truly magical. We saw the" Big Five", lion mating and the migration. It was the vacation of a lifetime. First off, we had the most amazing time ever and wanted to thank you very much. Tanzania proved without a doubt to meet all of our expectations. Every detail was thought of on our trip by AfricanMecca and were are all flawless. We wanted to thank you for the great amount of care you put into helping us with our travel planning for Africa. We were very much in your hands. Many thanks again, Raza for all your care, attention, advice and professionalism. When visiting in Moshi near Kilimanjaro, we recommend experiencing some of the surrounding Moshi attractions and cultural activities before your Northern Tanzania safari to Serengeti (wildebeest migration), Ngorongoro Crater, Lake Manyara and Tarangire. You may hike Mount Meru or Mount Kilimanjaro to experience a full day trek or multiple days climb, or even explore Arusha National Park for an adventurous canoeing experience on Momella Lakes combined with a game drive. End your trip with a Swahili cultural tour and beach holiday in Zanzibar. ARE YOU PLANNING AN AFRICAN SAFARI TRIP TO MOSHI IN TANZANIA? HAVE YOU VISITED MOSHI FOR AN AFRICA SAFARI IN TANZANIA?